Review of the Zmodo Greet Video Wi-Fi Doorbell. The Zmodo Greet Smart Doorbell is one of the cheaper options on the market today. But, does it still have the features you want, just at a more reasonable price? We LOVE that Zmodo will store video clips in the cloud for 12 hours for free. Most other companies require you to purchase a plan, or you need to use a memory card. Most people find that 12 hours of storage is enough for their needs. Or, you can upgrade to one of their plans. There’s a 30-day free trial of this. Zmodo may be cheaper than many of their competitors, but it still has some of the features that you’re looking for including night vision and motion detection. The night vision allows you to see who’s at the door at night, and according to customer reviews, it works reasonably well. The motion detection system will send you an alert to your Smartphone every time motion is detected. It will also record a video clip which is stored in the cloud for 12 hours for free. You can store them for longer by upgrading to one of their plans. Here at Spy Cameras Reviewed, we LOVE companies that stand behind their products. 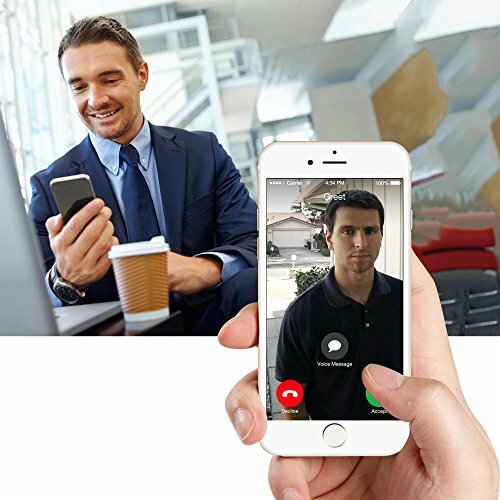 Zmodo offers a 60 day, money-back guarantee, and a three year warranty on their products. It’s a risk-free way to try a top-quality video doorbell. Installation requires a mechanical doorbell chime and a transformer with a low-voltage of 10VAC-36VAC. If you’re looking for a reasonably priced video doorbell system that does the job, then the Zmodo Greet should be at the top of your list. 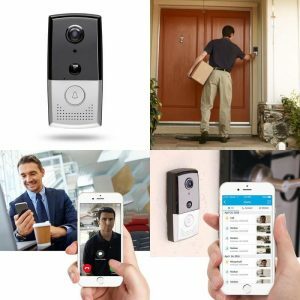 Although it doesn’t have all the features of some of the video doorbells that are 3-4x more expensive, it has enough of them that most people will be pretty happy with it. For the price? It works well enough! There are a few reports that this video doorbell isn’t as easy to set up via a home Wi-Fi network as the company says it is. However, they do have good customer service and support and should be able to help you out if required. Apart from that, there’s a 60 day money-back guarantee so if you really can’t figure it out, just return it for a full refund. Sounds like a win in our books! 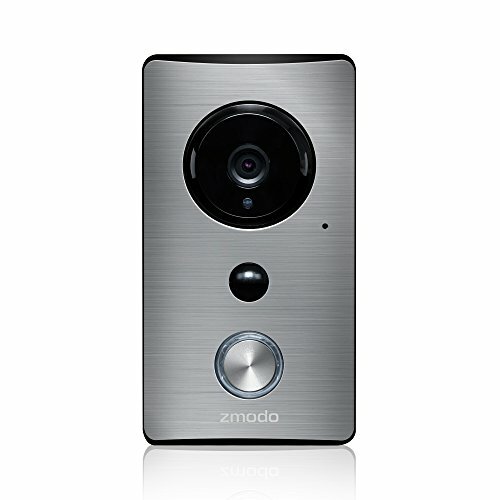 It’s the clincher for making the Zmodo Greet a solid buy if you’re looking for a cheap video doorbell. Zmodo Smart Wi-Fi Video Doorbell: Have your Say! What do you think about this popular home security device? Leave a comment below and let us know your thoughts.